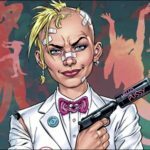 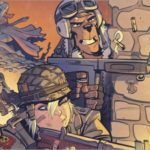 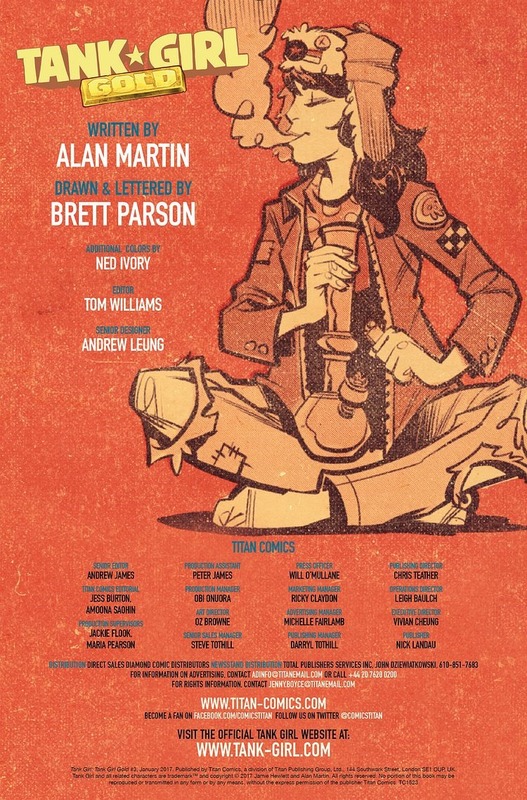 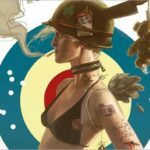 Here’s a short preview of Tank Girl Gold #3 by writer Alan Martin and artist Brett Parson, on sale December 21st, 2016 from Titan Comics. 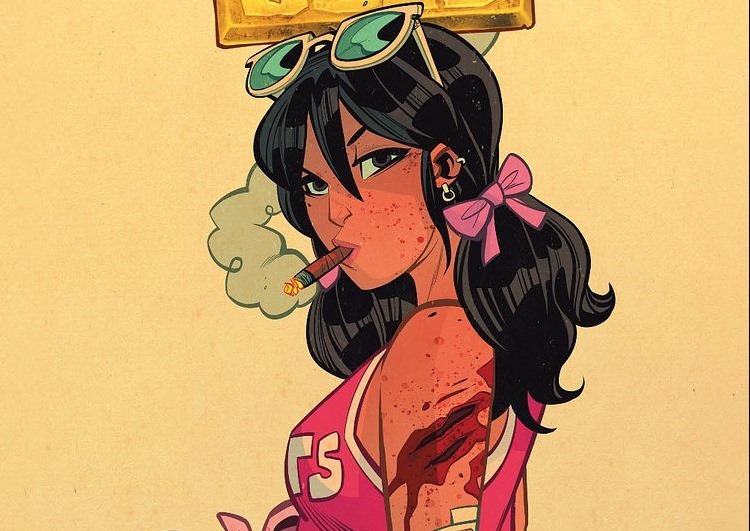 It’s time to shift the spotlight as our regular heroine takes a little time out for some well-deserved R&R (that’s robbing and randsacking to you folks). 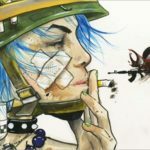 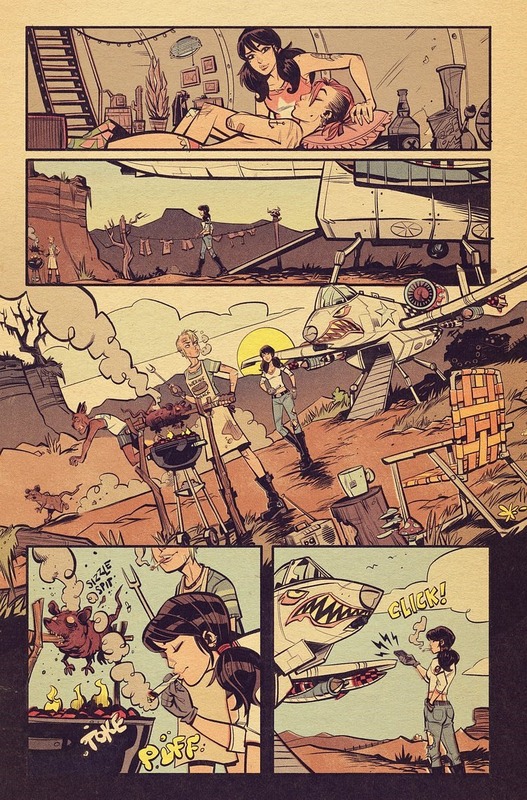 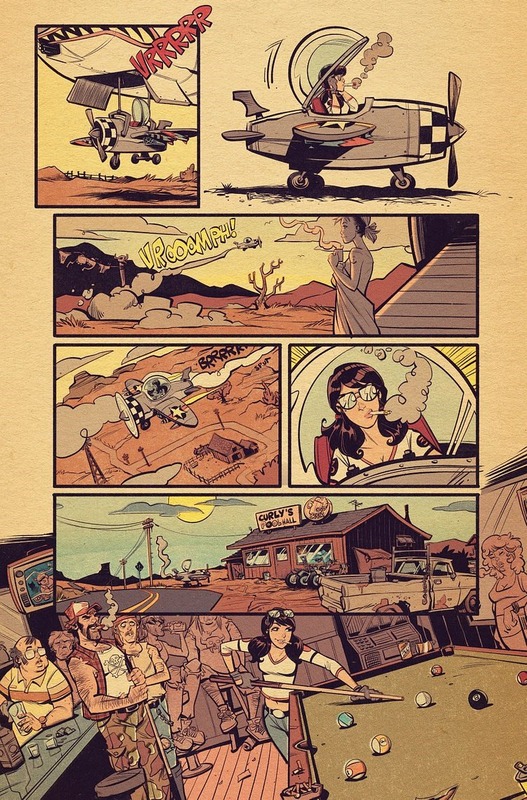 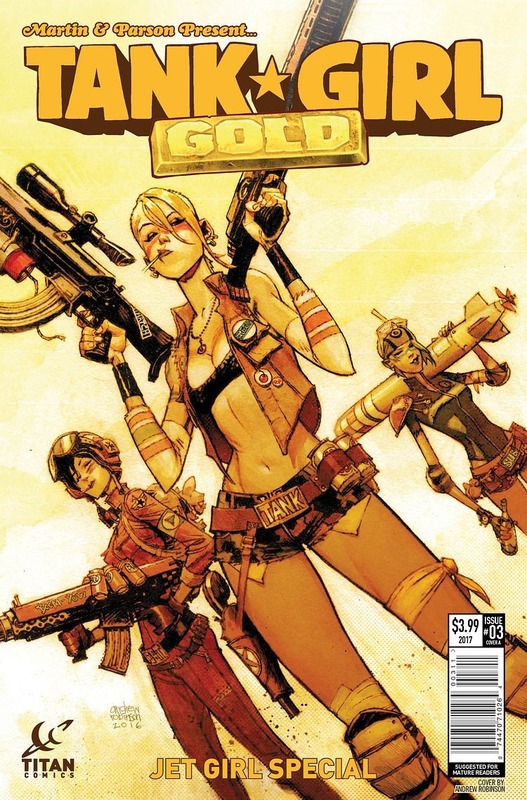 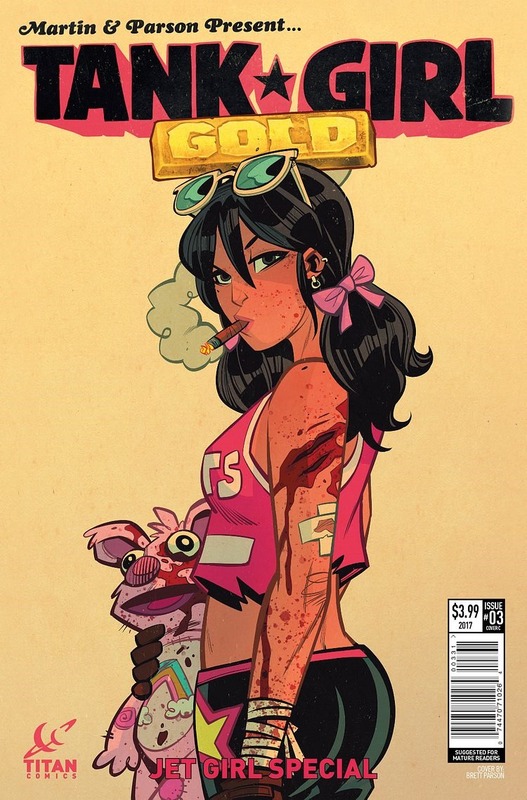 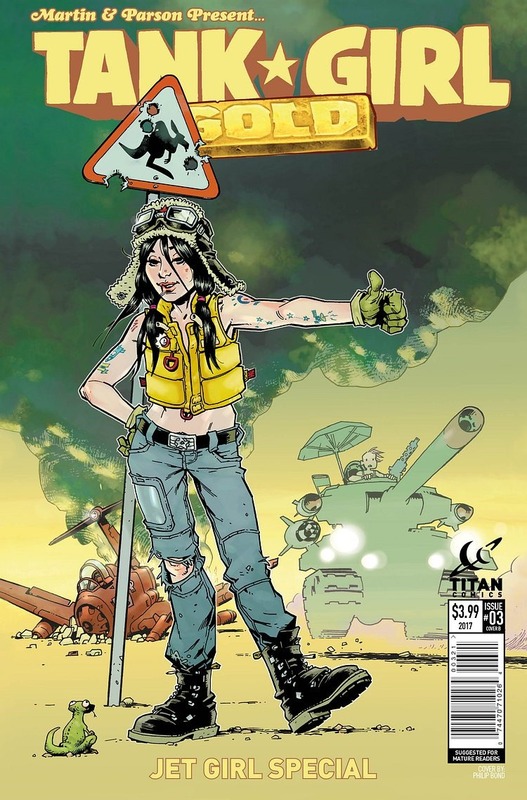 Get ready for Tank Girl Gold’s skull-shattering JET GIRL SPECIAL!